CHRIST THE CENTRE OF THE BIBLE. 1 & 2 Corinthians. 1 & 2 CORINTHIANS - Christ is our Sanctification. The Apostle Paul writes to the disciples that came to the Lord when he was in Corinth. He had stayed there for over a year, working as a tentmaker, with the help of Aquila and his wife, Pricilla. (Acts 18) The Jews opposed Paul so he then went to the Gentiles. They received him and learnt much of God`s word. Then after some time Paul moved on to other places to preach that Jesus is both Lord and Saviour. Then there came reports concerning the believers at Corinth that there were divisions among them, carnal behaviour and controversies. All these are addressed in the letters to the believers at Corinth. The city of Corinth was the most important city of Greece in Paul`s day and its wealth was fabulous. Luxury and immorality were rampant among the population. There was much culture and art, plus study of philosophy and their gods were gods of pleasure. Thus it was that this worldliness had come right into the midst of the believers. There were divisions among them; believers going to law against other believers; behaviour at communion was disgraceful; even contention over spiritual gifts. Finally the believers wrote Paul about these things, and asked his advice on the matter. The two letters to the Corinthians were written in answer to their requests. The Apostle Paul addresses each matter and then goes on to explain how believers should act. 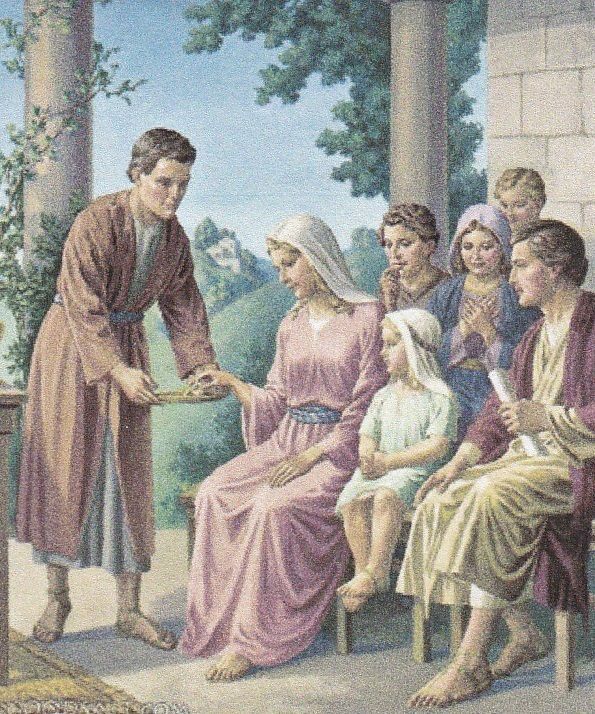 He spoke of living a life pleasing to the Lord, and being members of one body, caring for each other and using the spiritual gifts for building up the Body. In Paul`s letter to the Romans, we find the theme to be salvation - righteousness through Jesus. In these letters to the Corinthians he enlarges it into the life of righteousness in the believer. This comes through sanctification, the work of the Holy Spirit whereby the mind and affections of the believer are purified from all control by sin. It is a process that the believer is active in. Previous entry CHRIST THE CENTRE OF THE BIBLE. Romans. Next entry CHRIST THE CENTRE OF THE BIBLE. Galatians. It’s a good job that the jews opposed Paul I guess. Corinth then was a pagan place as Christianity had not yet been exposed to many folk. But it was a micro for the bigger picture I guess the world at large. Interesting comments there mabel. Thanks. Yes, great that the Lord sent Paul to the Gentiles. And Corinth, yes would be a picture of our materialistic, pagan world at large. I also think many people have been taught wrongly about Paul and hope we can get a better picture as we progress through his letters. As a new believer and a woman I found some of the things Paul said hard to digest. However after reading God's Word all these years and being enabled to see the bigger picture that is shown through all his letters, one comes to the conclusion that he was totally given over to serving Jesus all the days of His life and God gave him wisdom in the ways of instruction to the new Christians at Corinth and elsewhere. He was indeed a great disciple and apostle of our Lord Jesus Christ and handpicked by God for the journey he went on. Praise the Lord.